Home » »Unlabelled » I Never Knew How To Fold A Fitted Sheet - I Do Now!! Every single time I do laundry, there’s one item that I leave rolled up in a ball because I think it’s impossible to fold it. It’s not the end of the world, but I am a neat person, and it bothers me that it just sits there rolled up like a mess. 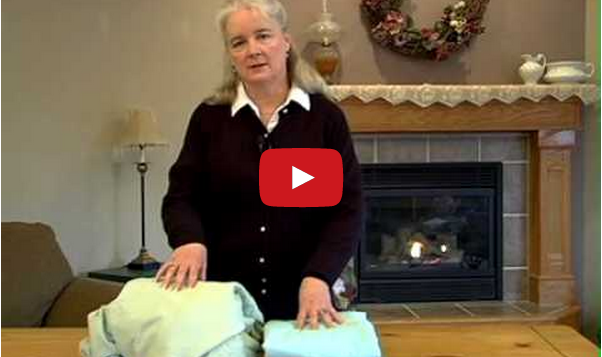 I realize it’s a simple thing, but I was very excited when I ran across this video that shows clearly how to fold a fitted sheet, and after I tried it, it worked! Maybe it’s just me, but this is the kind of stuff I love learning on the internet :) How about you?